USB 3.0 has finally hit the market in 2010, USB 3.0 adds the new transfer rate referred to as SuperSpeed USB (SS) that can transfer data at up to 5 Gbit/s (625 MB/s), which is about ten times as fast as the USB 2.0 standard. This is in stark contrast to previous USB standards, like USB 2.0, that at best can only transmit data at 480 Mbps, or USB 1.1 that tops out at 12 Mbps. USB 3.0 Connectors – In order to be compatible with the use of the interface with the previous generation interface, the same shape or only slight changes, each generation of USB will be designed to be compatible with the previous generation USB interface, if not we will not be able to use the previous device. 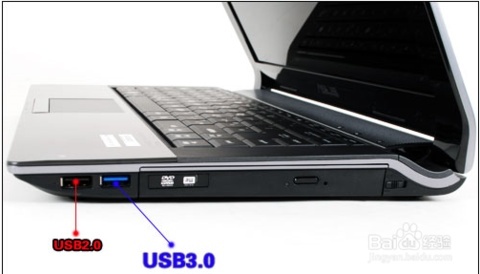 There are two categories of interface in USB 3.0, A and B type. USB 3.0 Type A plugs and receptacles are physically compatible with those from USB 2.0 and USB 1.1. A USB 3.0 Standard-A receptacle accepts either a USB 3.0 Standard-A plug or and USB 2.0 Standard-A plug. Instead, it is possible to plug a USB 3.0 Standard-A plug into a USB 2.0 Standard-A receptacle. This is a principle of backward compatibility. A USB 3.0 Standard-B receptacle accepts either a USB 3.0 Standard-B plug or a USB 2.0 Standard-B plug. 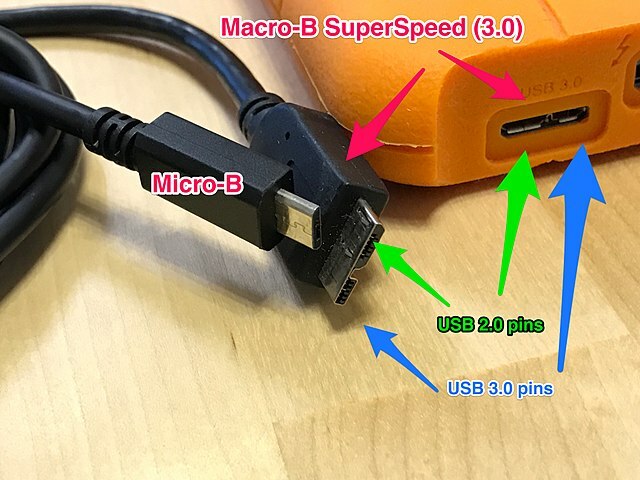 But it is not possible to plug a USB 3.0 Standard-B plug into a USB 2.0 Standard-B receptacle, because of the USB 3.0 Standard-B physically larger connector. Color distinction: on the computer, you can distinguish according to the color of the socket, USB2.0 is black, USB3.0 is blue (usually located in the back of the host, because USB3.0 need to install the driver). Pin distinction: USB 2.0 only 4pin metal, and USB 3.0 9pin, Front 4Pin and USB 2 are one to one, the 5pin of the rear is exclusive to USB 3.0. Mark discrimination: According to the symbol beside the socket, like the following diagram. USB3.0’s “SS” stands for “SuperSpeed”. Look at the controller: Open Windows Device Manager, right-click My Computer Manage, expand the USB bus controller. Anyway, compared to the data transmission speed of USB3.0, USB 3.0 has greatly improved, with the increasing popularity of USB3.0, the USB3.0 will gradually replace the current USB2.0 in the future. Pingback: What is USB 3.1 and How is the USB 3.1 Better than Other USB Ports?